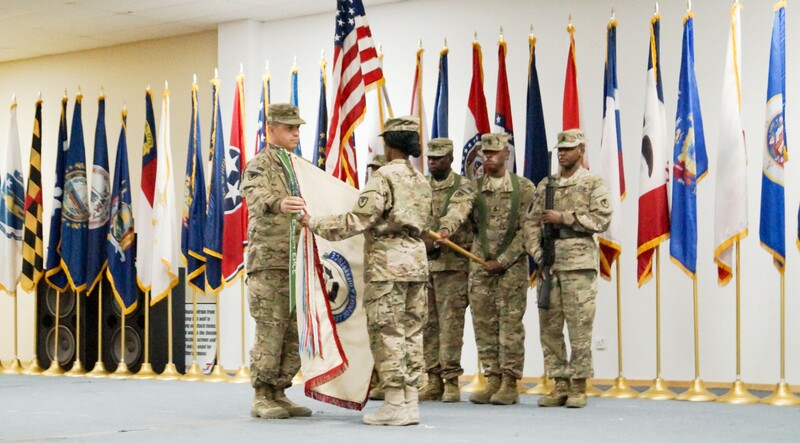 CAMP ARIFJAN, Kuwait -- A new era for the 401st Army Field Support Brigade began when it uncased its colors at a ceremony here on Dec. 18. Col. Matthew J. Ferguson, 401st AFSB commander, and Command Sgt. 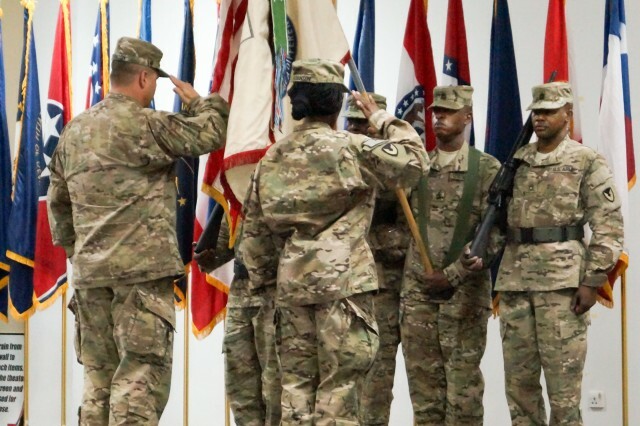 Maj. Wendy A. Robinson, 401st AFSB command sergeant major, conducted the uncasing of the colors while Maj. Gen. Kevin G. O'Connell, commanding general, Army Sustainment Command, presided over the uncasing ceremony. "I am proud to be part of this historic event for the 401st (AFSB), Army Sustainment Command and Army Materiel Command," O'Connell, said. Also in attendance were: Maj. Gen. Darrell K. Williams and Command Sgt. Maj. Nathaniel J. Bartee Sr., 1st Sustainment Command (Theater) commanding general and command sergeant major; Brig. Gen. Daniel G. Mitchell and Sgt. Maj. Samuel Jones, 1st TSC deputy commanding general and sergeant major; Brig. 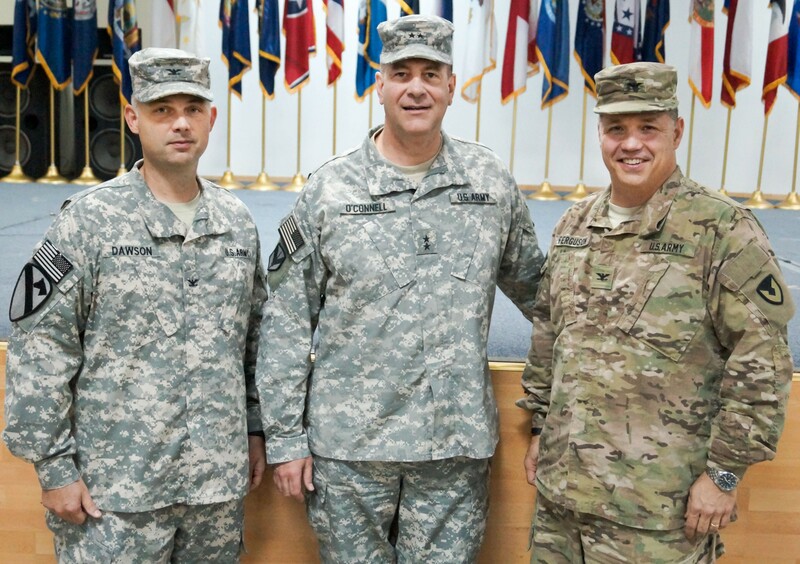 Gen. Rodney D. Fogg and Command Sgt. 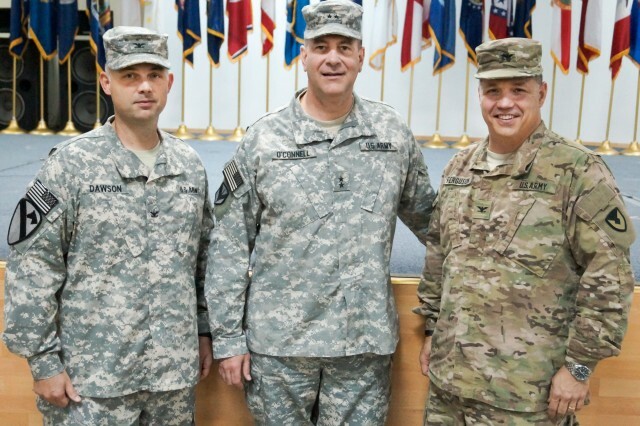 Maj. Terry D. Burton, 13th Sustainment Command (Expeditionary) commanding general and command sergeant major; Maj. Gen. Dana J.H. 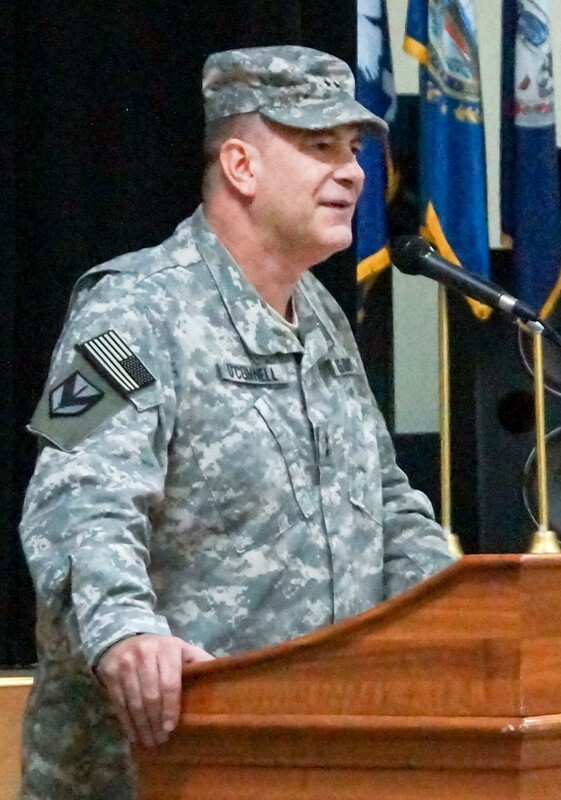 Pittard, U.S. Army Central deputy commanding general-operations. 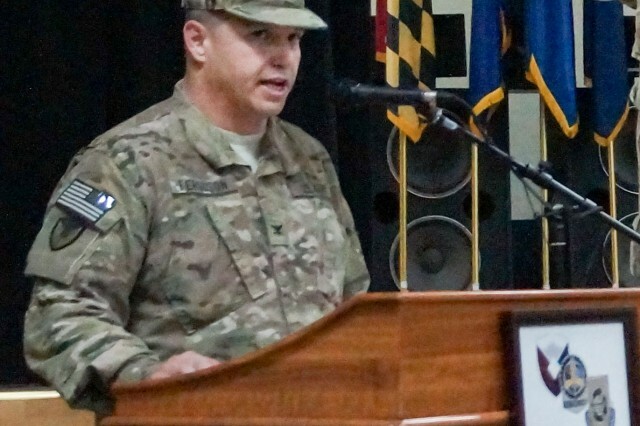 "The accomplishments of the 401st (AFSB) have been mind-boggling," O'Connell said. "You think about what this brigade has done over the past very few years with the surge, the retrograde, the sustainment of coalition and U.S. forces, provided reach back to the industrial base for units and assumed the responsibility for all the theater provided equipment. The numbers are huge." O'Connell observed that the 401st AFSB has assumed the responsibility for more than 20,000 pieces of rolling stock and 400,000 pieces of non-rolling stock valued at $16.7 billion while maintaining at approximately a 95 percent operational readiness rate with a peak workforce of approximately 45,000 Soldiers, Department of the Army civilians and contractors supporting more than 35 forward operating bases in Afghanistan. 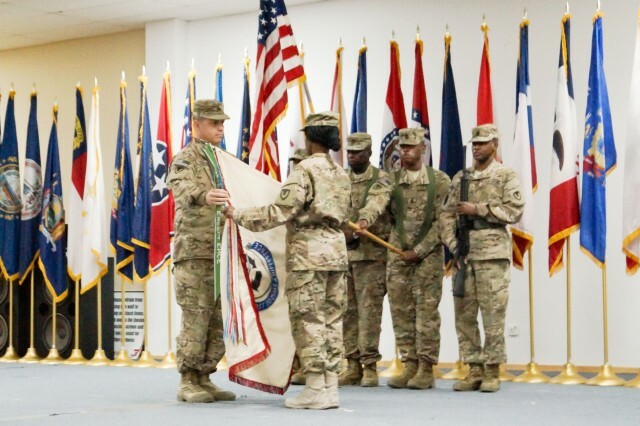 The 401st AFSB will continue its mission supporting Operation Enduring Freedom in Afghanistan with the Army Field Support Battalion-Afghanistan while also transitioning to operate throughout the entire U.S. Army Central Command area of responsibility. 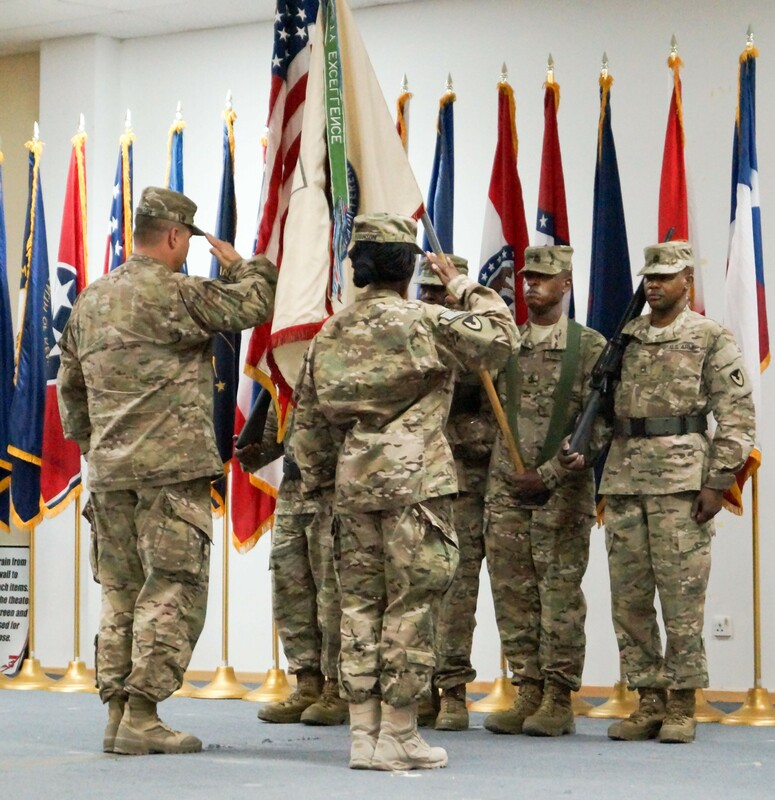 "This is the most significant step officially marking the relocation of the brigade that has served as the AMC's single face to the Warfighter in Afghanistan since the early days of Operation Enduring Freedom," Ferguson said. "The 401st (AFSB) team has effectively done their part to build the future readiness of the Army. The team members of the 401st Army Field Support Brigade headquarters that are here now are anxious to fulfill their role in resourcing their teammates in Afghanistan from here at Camp Arifjan. We stand ready to enable the team to continue the sustainment of U.S. and coalition forces for the resolute support mission to Afghanistan." 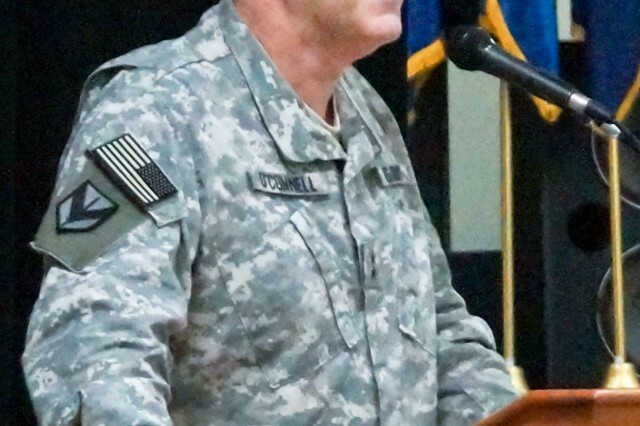 "My son was in Jalalabad in 2009-2010, with the 4th ID (Infantry Division)," O'Connell said. "He was hit by a couple of RPGs (rocket-propelled grenades) in an MRAP (Mine-Resistant Ambush Protected Vehicle), and I know the up-armor in that MRAP saved his life. If that would have been a thin-skinned Humvee, I might not be going to visit my grandson in a week. You guys have saved lives in the 401st (AFSB), and it becomes personal." 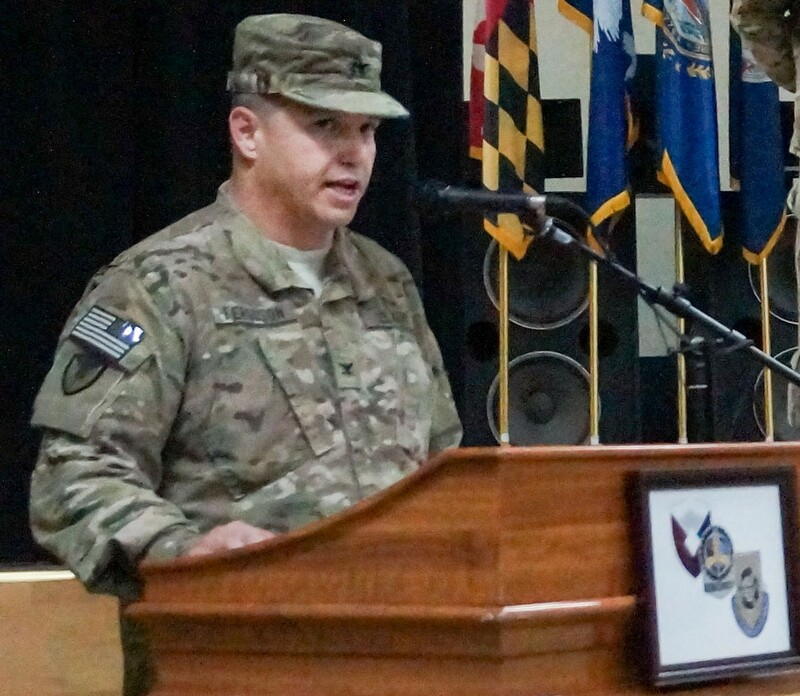 "The future is always uncertain, but I know the 401st (AFSB) is up for any challenge that lies ahead," he said. "As you uncase the colors today, be proud of your history, but excited about the future. We have a lot of things to come."